Running The Race » Blog Archive » A Repeat of Last Year? 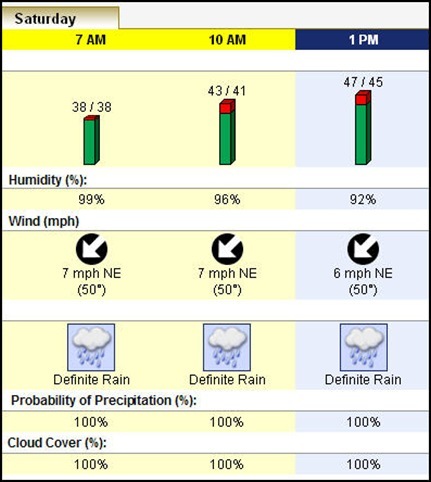 Forecast for the Tom King Half Marathon tomorrow is rain. Last year it was a downpour. This year it appears it is going to be both wet and cold. 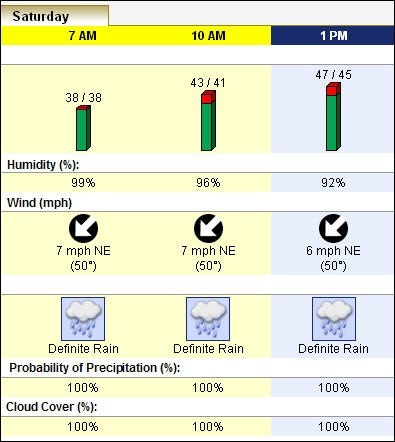 Hope the forecasters are wrong! This entry was posted on Friday, March 13th, 2009 at 4:33 pm	and is filed under General. You can follow any responses to this entry through the RSS 2.0 feed. You can leave a response, or trackback from your own site. Look forward to the report!! !